Insurer FBD has reported a fall in pre-tax profits in 2013, which it said was caused by a small number of large accident and liability injury claims offsetting its strong investment performance. The company said its profit before taxation was €51.5m last year, down €800,000 on its 2012 figures, and it has reported an increase in customer numbers, with its market share increasing to its highest point ever at 13.4 per cent. According to FBD, the Irish property and casualty insurance market contracted by approximately four to five per cent in 2013, as insurable risk and values reduced further, while rates continued to decline. “Pressure on market rates suggests further deterioration in industry profitability in 2013. There were some early signs of industry rate increases in the final quarter of 2013, particularly in car insurance,” it said. FBD has reported that its gross premium written increased by two per cent to €351.2m, increasing FBD’s market share from 12.6 per cent to approximately 13.4 per cent. 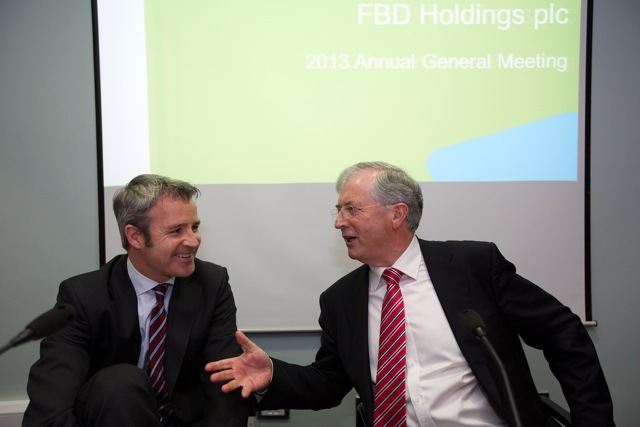 It noted that FBD policy volume grew by 2.6 per cent for the full year. According to the company, a key strategic priority for FBD is to deliver on all the insurance needs of farming customers. In terms of claims, FBD has reported that net claims incurred were €201.2m, an increase of 4.9 per cent on 2012. “While the weather was benign for most of 2013, storm and flood claims in the last weeks of 2013 cost €4.5m, net of reinsurance. The group also experienced a small number of very large accident and liability claims, costing more than €1m each, in 2013,” it reported. According to FBD, the combined cost of severe weather and large claims, which will fluctuate from year to year, was 18.7 per cent of net earned premium, significantly higher than the 13.1 per cent cost in 2012 and two percentage points higher than the seven-year average cost of 16.7 per cent. 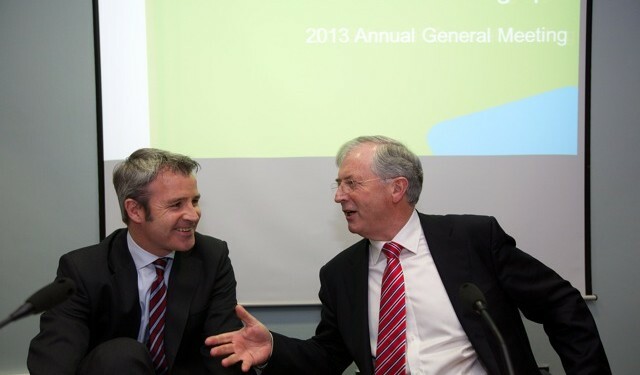 In terms of its outlook for 2014, FBD said there are initial signs of a recovery in the Irish economy, and domestic demand, the best indicator of the trend in insurable risk available in the market, turned positive in the second half of 2013 and is forecast to grow, albeit marginally, in 2014. “Increased economic activity leads to higher claims frequency and there is invariably a time lag before this is reflected in market premiums. This will have a short-term impact on profitability in 2014 and the early part of 2015,” it noted. FBD forecasts market rates to rise given the profitability challenges already facing the industry, the extent of recent weather losses and any impact of increased frequency arising from economic activity. “Market size in 2014 will depend on the speed and extent to which the market chooses to adjust rates to deliver an acceptable return,” it said. During 2013, the combined cost of severe weather and large claims were above historic norms, FBD added. In addition, the wind storm that hit Ireland in the middle of February 2014 is likely to cost the industry up to €130m it said.